iGotYou lets you identify intruders with alarm, photo and GPS. After opening the application and clicking on the “Lock Me” tab your phone will be monitored for intruders. iGotYou will continue running in the background when closed. 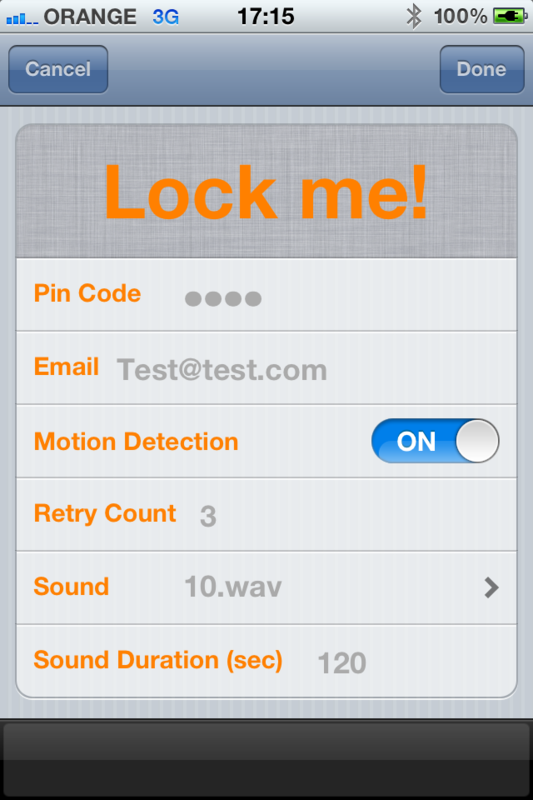 iGotYou is configured to play an alarm when running in the background. In case someone moves your phone without putting the PIN code in iGotYou application the phone will play an alarm for the duration that was selected in the application settings. iGotYou will also get your iPhone location and will send both location and the intruder picture to your email address. 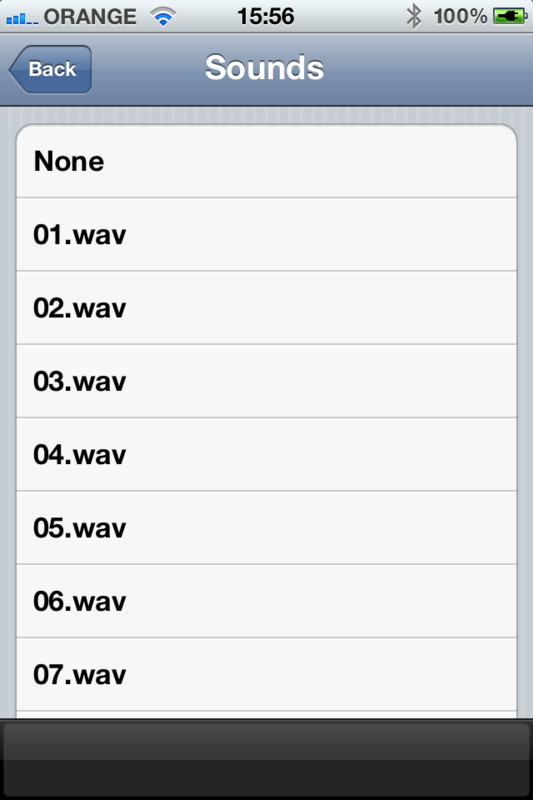 The intruder picture will also be saved in the iPhone photo album. You need to register with your email used in the app. The first time you enter the application you will need to enter your PIN code and your email address. 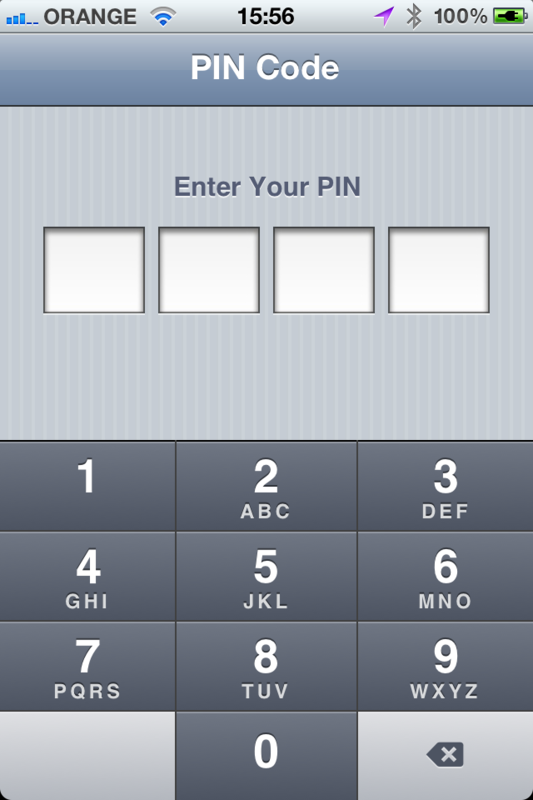 After both PIN code and email address are entered you can click the “Lock Me” to lock your phone. If the PIN code is mistyped 3 times (configurable) then iGotYou will start an alarm (configurable) , take a picture , get the location of your iPhone and email it to you. iGotYou is also configured by default to check for any movement on your phone. In case the phone is moved a popup message is displayed notifying that you have 15 seconds to clear, otherwise an alarm will be heard and a mail will be sent to you with the phone location and a picture from the front camera. A location mail will be sent every 60 seconds (if location is changed) until iGotYou is unlocked with the right PIN. A badge alert and notification alert will show break in attempts. Please note that in case the application is not in the foreground a picture will not be taken. Intruder photo available for devices with front camera only. Location Services must be enabled for iGotYou in order to get the iPhone location. Email – Your email address. All emails will be sent to this address. 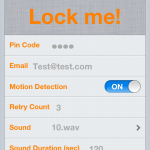 Motion Detection – If enabled, iGotYou will detect if someone is moving your phone. 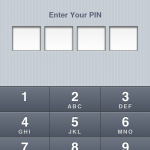 Retry Count – Number of retries to enter your PIN code. 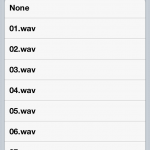 Sound Duration (seconds) – Alarm duration in seconds. Prerequisites: IOS4 and above, iDevice with multitasking front camera and navigation support.